If you’re new to the keto diet, you might be at a loss for what to make and eat for breakfast, lunch, and, dinner (and snacks in between). That’s where we come in. If you want to find out how to make protein and fat-rich meals or delicious flourless desserts, keep on reading. You’re going to want to save all of these recipes to your keto Pinterest board. My personal favorite recipe is the fish dish on page nine. I think I’m going to make it for dinner tonight. Salmon can be a difficult ingredient to work with. If you don’t season it properly, it comes out bland, and if you cook it just a little bit too long, it gets dry and chalky. Once you master this ingredient though, you’ll be able to make the most delicious dinners. 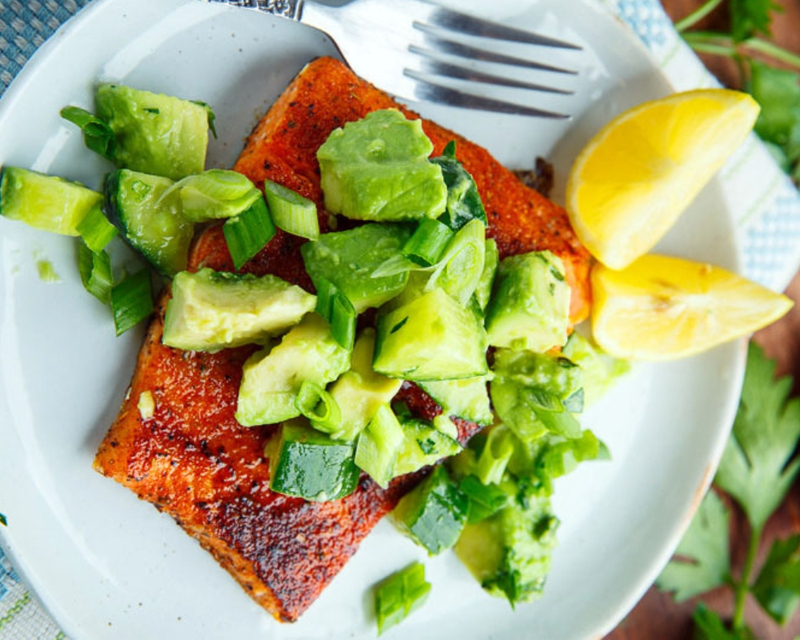 This recipe makes use of a cast iron pan and some cajun seasoning, which is the best way to get flavorful, perfectly cooked, crispy salmon. The best part of the keto diet is that you still get to eat so much cheese. Sorry, vegans, cheese is just an essential part of life. 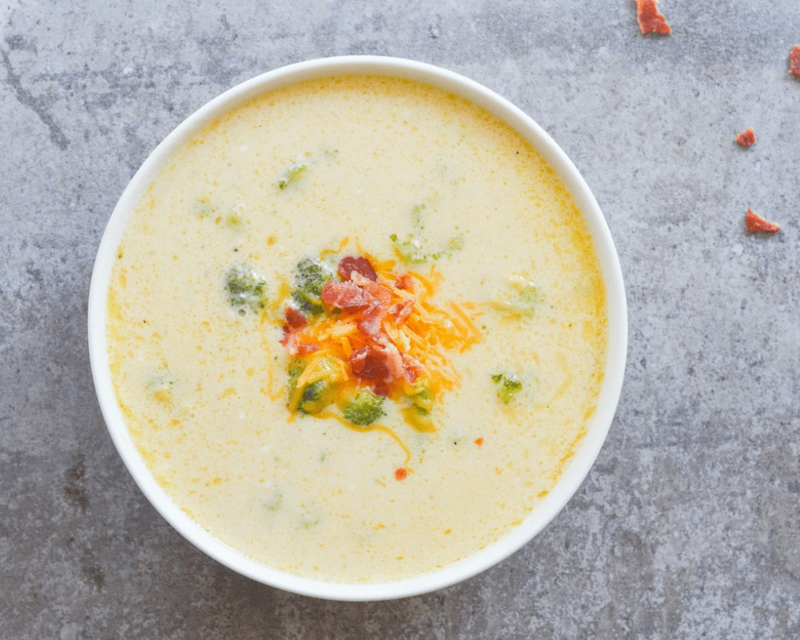 This broccoli cheddar soup might just be the cheesiest soup you can make at home. A serving of this soup only has 285 calories, and it has 24 grams of fat, which is perfect for keto. What’s better than cheddar, bacon, and broccoli? Good news! 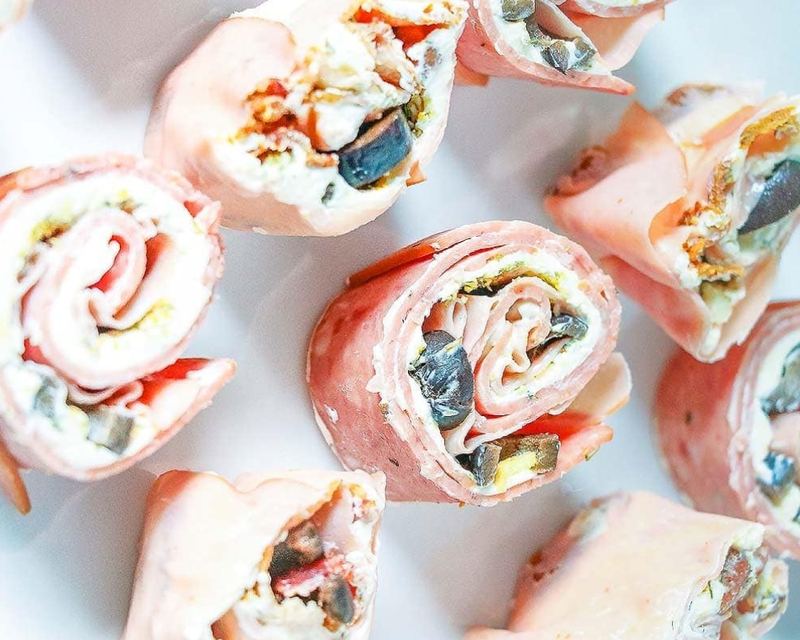 Being on a keto diet doesn’t mean that you have to give up pinwheels! You can still have these delicious, two-bite treats, you just have to do away with flour tortillas. Basically, you just use lunch meat as the outside of the pinwheel. Layer on your favorite toppings like cream cheese, spices, lettuce, pickles, or whatever you happen to have in your pantry. There really is no wrong way to make these. Want dessert on keto? Keep reading for a recipe that makes use of a mystery ingredient. 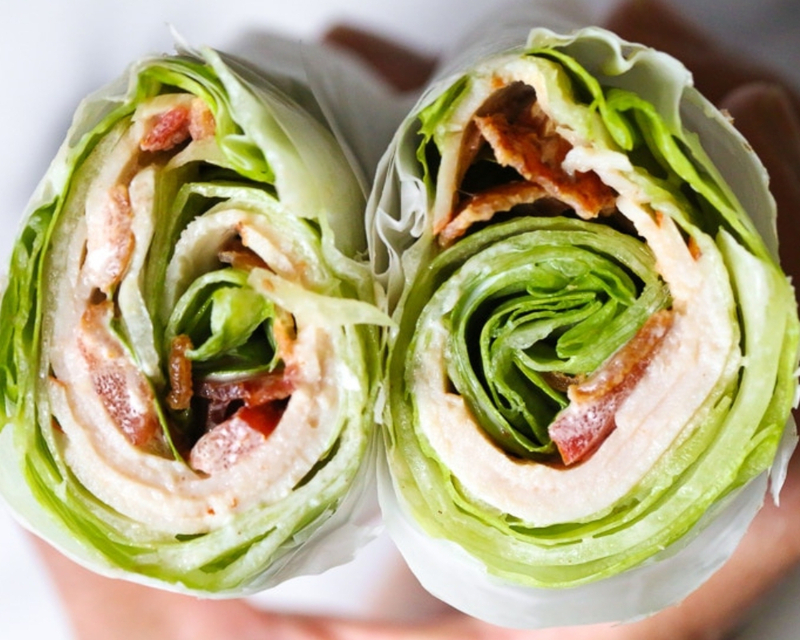 Another way to get your sandwich fix on the keto diet is with lettuce wraps. These are packed full of all of the goodness you’d expect from a club sandwich (minus the bread). Remember to use a thick layer of lettuce so things don’t get too messy, especially if you’re taking this “sandwich” to work. Add some mayo and some mustard, and pretty soon, you won’t even miss the bread at all. 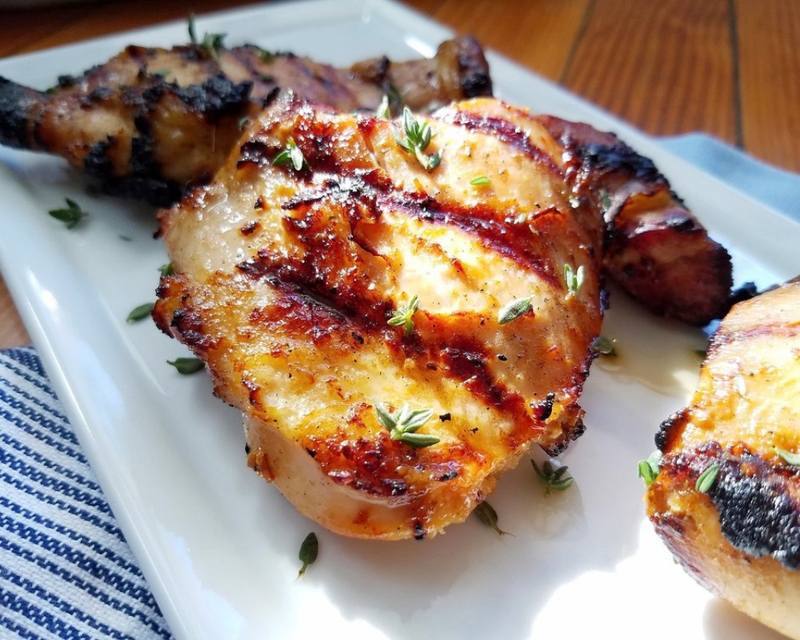 Chicken is a keto staple, and in my humble opinion, chicken tastes best when it’s grilled. The marinade for this chicken dish is made out of maple flavored sugar-free syrup, dijon mustard, soy sauce, garlic, and thyme. Mix all of those ingredients together in a large ziplock back and add in your six chicken thighs. Then just pop those bad boys on a grill. You can reserve a bit of the marinade for brushing onto your chicken as it cooks. Being keto doesn’t mean that you have to give up on dessert. Apples are full of carbs. You could eat an apple on keto, but then you couldn’t have any more carbs for the rest of the day. 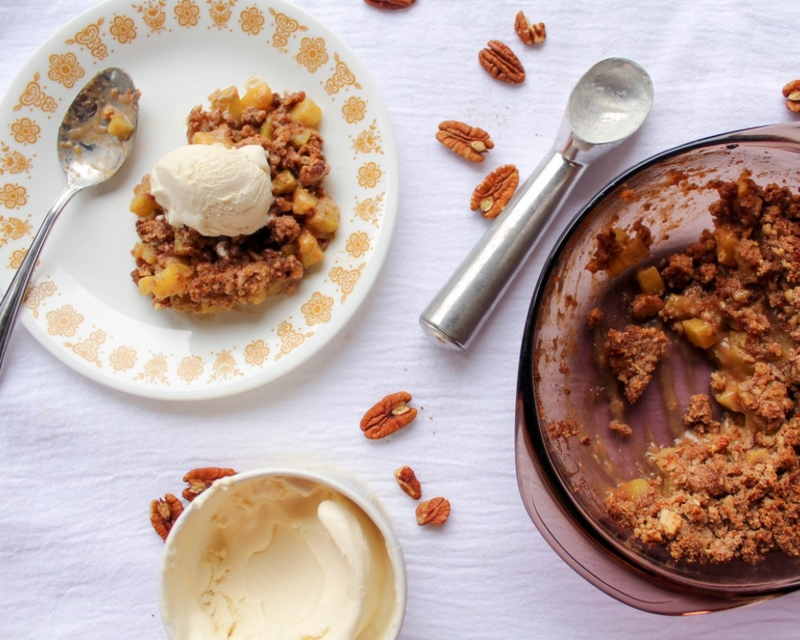 That’s why this apple crisp recipe substitutes apples for— wait for it… zucchini. Yup, you heard me. Zucchini is a lower carb alternative to apples, and with all that cinnamon and spice, you won’t even taste the difference. Ok, you might taste the difference, but it’s probably still delicious. You can still have baked goods on the keto diet, you just can’t have flour. Almond flour is a great substitute for regular flour. Plus, it has a great almondy taste that you can totally play up with some almond extract. 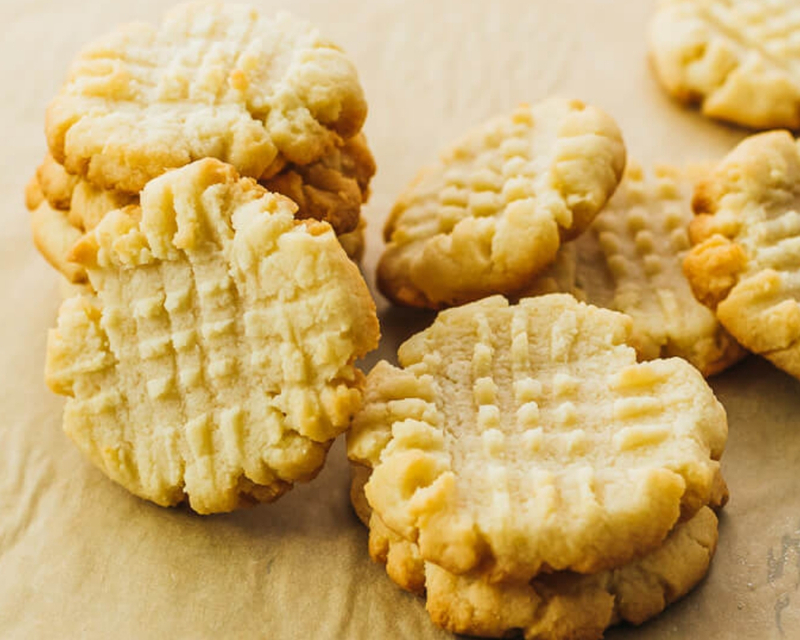 This recipe calls for almond flour, erythritol sweetener, salted butter, and vanilla extract. Mix everything together and bake for ten minutes. It’s that easy. You can also add your own keto mix-ins like peanut butter or chopped nuts. This recipe is keto, gluten-free, and super easy to make. 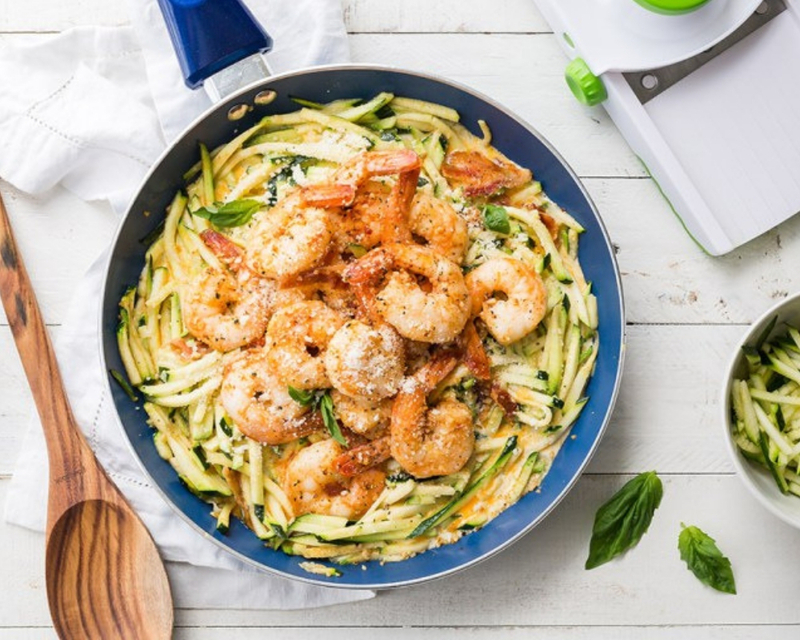 Zoodles are a great, healthy alternative to regular pasta, and they’re pretty delicious, too. You’ll just need shrimp, seasoning, butter, garlic, zucchini, bacon, cream, and parmesan cheese. You can season the shrimp any way you’d like, but I’m into the spices this recipe suggests — sea salt, cracked pepper, and ground paprika. Ok, now I’m getting hungry. I think I’m going to have to try this recipe for dinner tonight. We’re staying on the seafood train for a little while longer. Fish is delicious if you know how to make it right. Cod is a mild fish, so it’s perfect for people who want to start eating more seafood but aren’t sure about that “fishy” taste. You’ll need to mix some spices like garlic powder, salt, pepper, and paprika in a bowl. 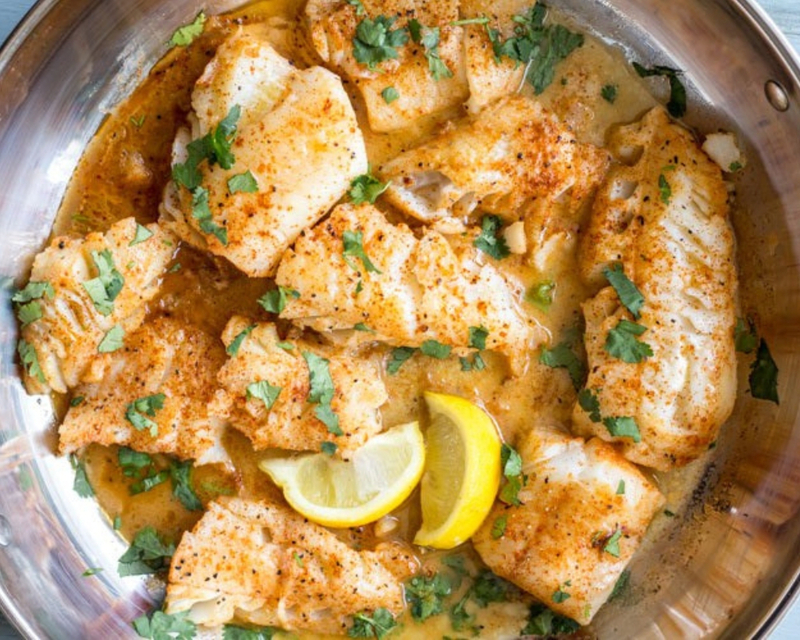 Dip your fish in the spice mixture, and then place it into a skillet with a few tablespoons of butter. After the fish is cooked, add some fresh herbs and some lemon slices. 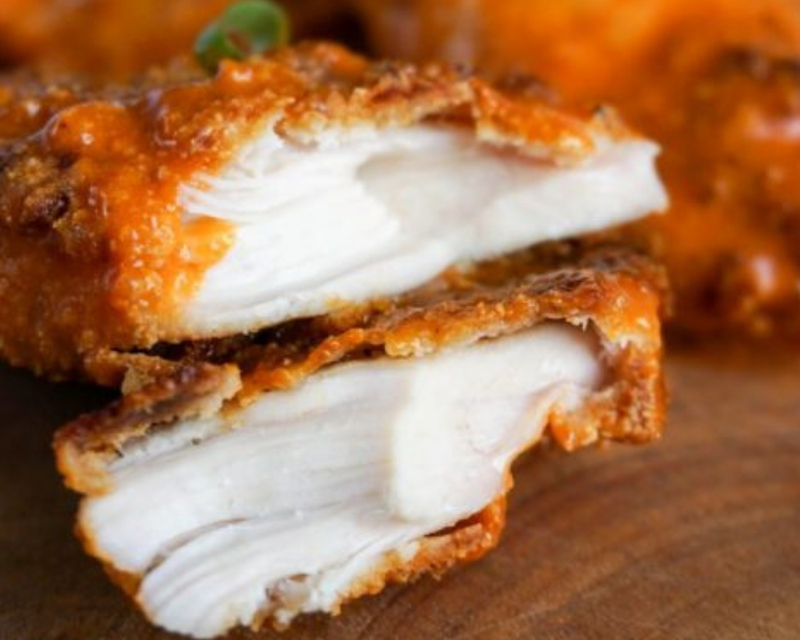 Instead of using carb-heavy breadcrumbs, you can coat chicken tenders in crispy almond flour. Once you coat everything in a delicious buffalo sauce, you won’t even be able to tell the difference. You can find a low-carb and low sugar pre-made buffalo sauce at your local grocery store. Just make sure to read those nutrition labels carefully. This recipe calls for the chicken to be baked in a preheated oven, but if you feel like frying, that’s totally allowed too. 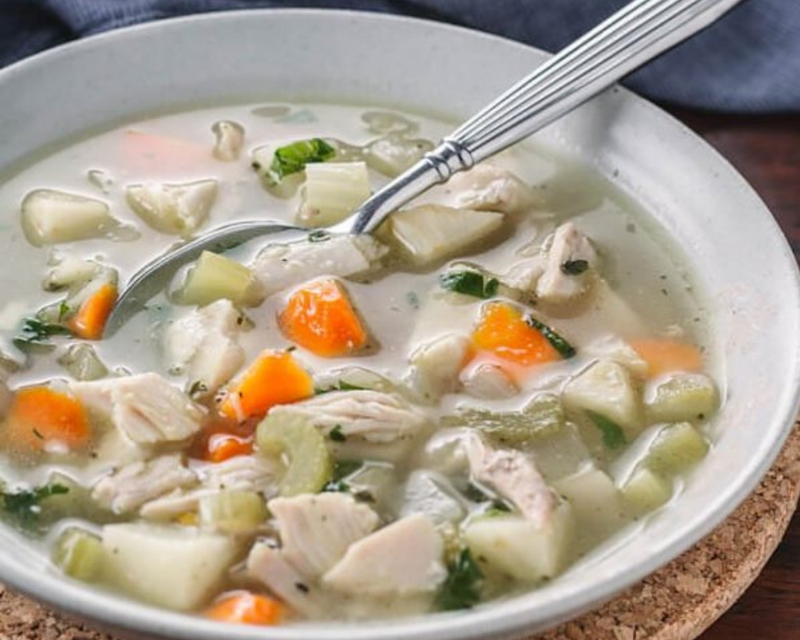 This low-carb chicken soup may not have any noodles or matzo balls in it, but that doesn’t mean that it isn’t flavorful and delicious. You’ll need all of the low carb vegetables you can find, a small amount of carb-heavy vegetables like carrots, onions, and garlic, and a healthy portion of chicken. This soup is only 274 calories per serving, and it only contains 8 grams of carbohydrates. I think I can deal with 8 grams of carbs for a bowl of delicious chicken soup on a cold winter’s day. 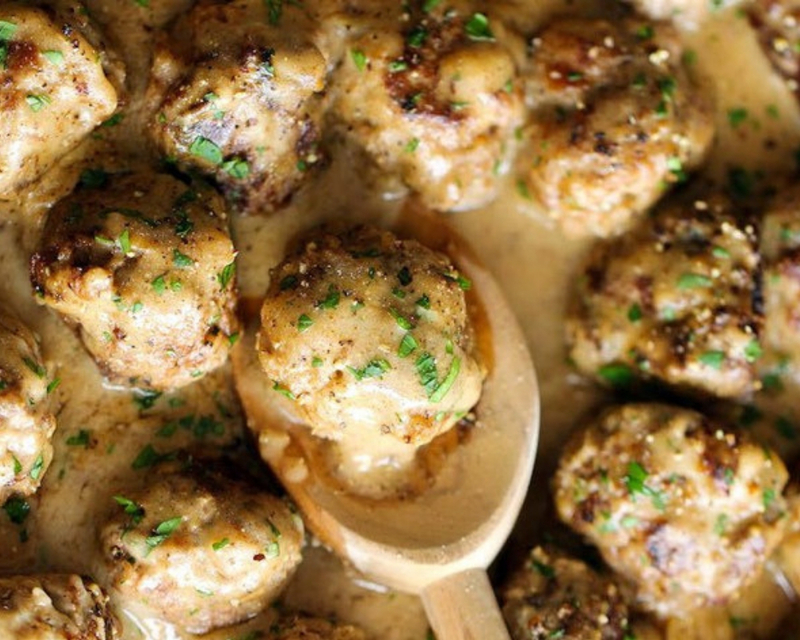 Ikea meatballs may not be the most keto friendly balls of meat in the world, but you can make meatballs at home that are just as delicious and way healthier. This recipe only has 4 grams of carbohydrates per serving, which is absolutely incredible. Also, this gravy recipe is to die for. It’s heavy on the fat, but isn’t that the best thing about keto? Bring on the sour cream, heavy cream, and beef stock. You basically just whip up the whipped cream and then fold it into all of the other mixed ingredients. The fact that we can have food like this on keto is the biggest reason I’m sticking to this diet. 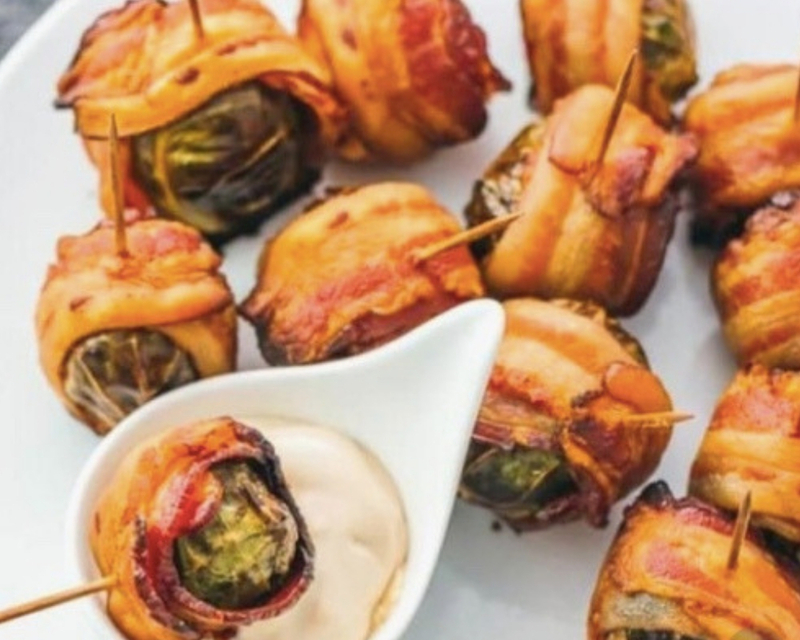 This low-carb appetizer will make the perfect addition to your keto Sunday dinner. I mean, I guess you don’t have to make these on a Sunday. You could really make them on any day of the week. These are as easy to make as they look. Just wrap some sprouts in bacon, use toothpicks to hold everything in place, and pop them in the oven until they look good enough to eat. 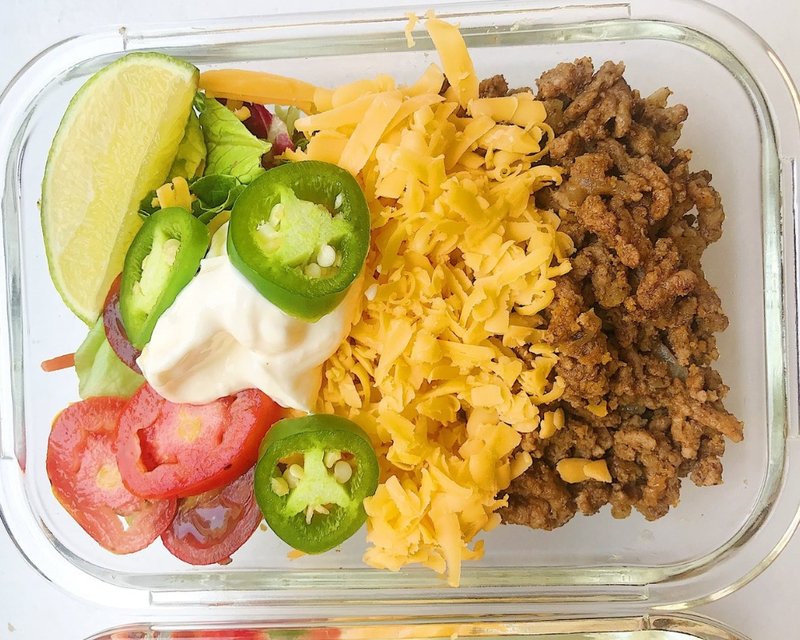 This taco salad is the perfect keto recipe for those of us who like to meal prep. You’ll just need to cook up some mincemeat (beef and turkey both work) with some delicious tex-mex spices. Then place the meat in a sealable container with keto-friendly toppings like shredded cheddar cheese, sour cream, avocado, tomatoes, jalapeños, onions, lettuce, and bell pepper. I guess you could add in some cilantro too if you’re not one of those people who hate cilantro with every fiber of their being. 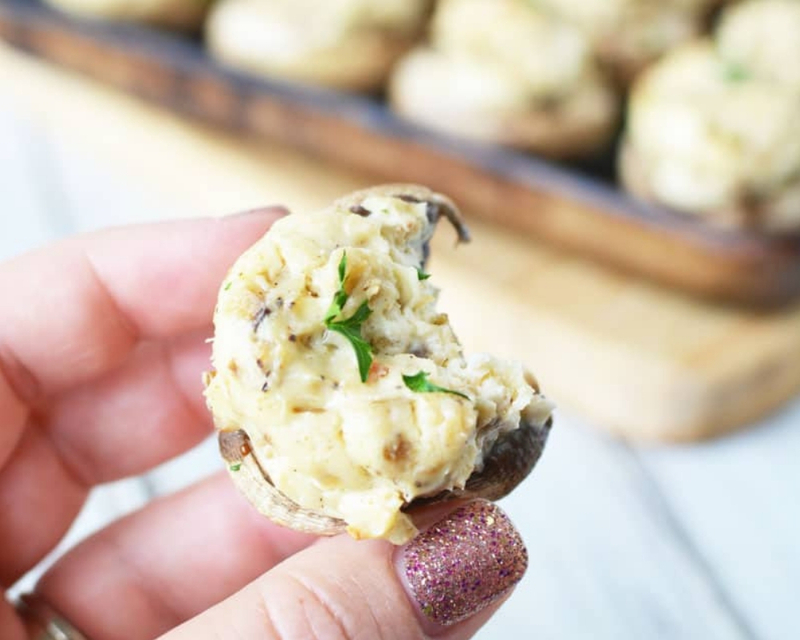 These deliciously stuffed mushroom caps are packed with cream cheese, garlic, parmesan cheese, onion powder, cayenne pepper, salt, and fresh parsley. I’m sure you could throw some spinach into the mix too if you’re feeling fancy. There are few things in this world that taste better than a stuffed mushroom cap. This recipe only takes twenty minutes to make, and you can customize it to suit your family’s particular tastes. Ok, so these “breadsticks” are more like a thin, baked omelet than like a hearty slice of cheesy bread, but that’s what happens when you cook keto style. For the breadsticks, you’ll need two eggs, shredded mozzarella cheese, and Italian seasoning. 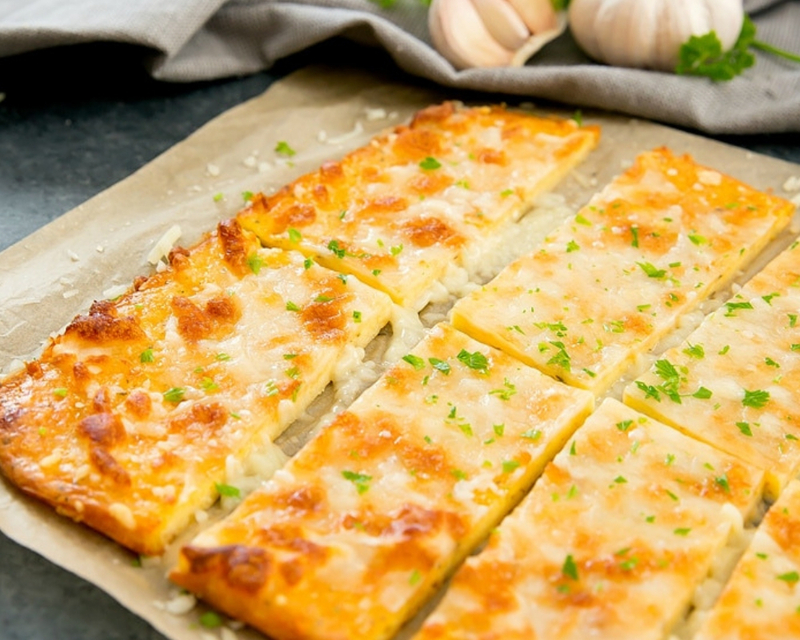 The topping is made from mozzarella cheese, parmesan cheese, and chopped fresh parsley. There’s a lot of baking at high temperatures involved in this recipe. I’m sure these blocks of egg and cheese taste just as delicious as they look. Pizza is a hard food to give up. Even if you think that the cheese is the best part of the pizza, the crust is still an essential component. Sure, you could make a cauliflower crust, but that just reminds you how much you want a real, doughy crust. 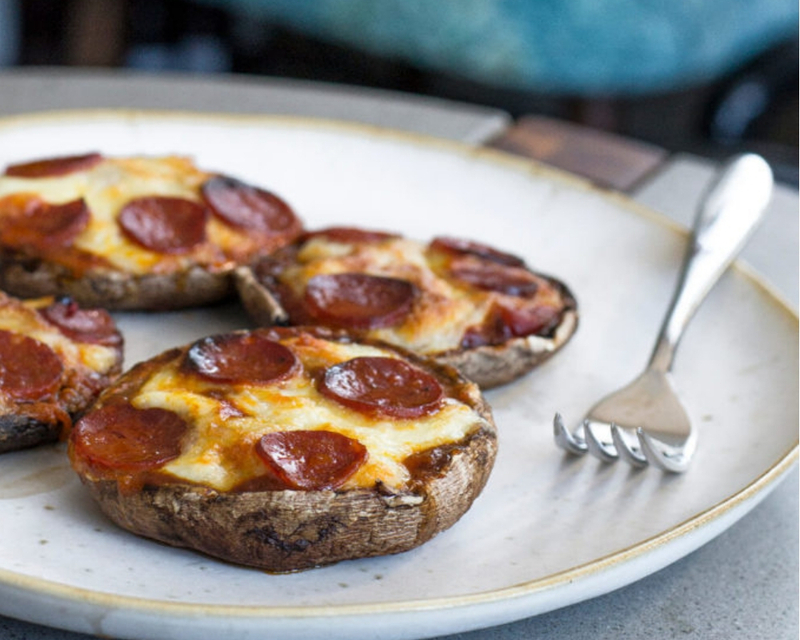 That’s why I prefer these mushroom mini pizzas. Mushrooms are the best pizza topping anyway. Why not put the best pizza topping under the pizza? 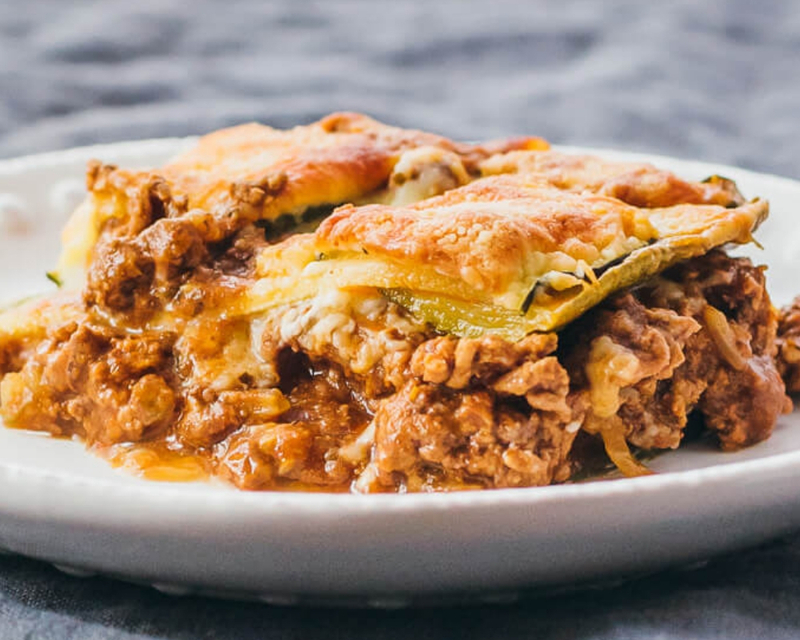 You make zucchini lasagna the same way you make regular lasagna — only you use thin slices of zucchini instead of lasagna noodles. You could also use thin slices of eggplant and turn this dish into an eggplant parmesan of sorts. The best kinds of cheese to use for the lasagna to get that classic soft and stretchy bite are mozzarella, jack, and cheddar. You can also mix some soft ricotta cheese with your beef mixture, or use ricotta and spinach instead of meat for a vegetarian alternative. 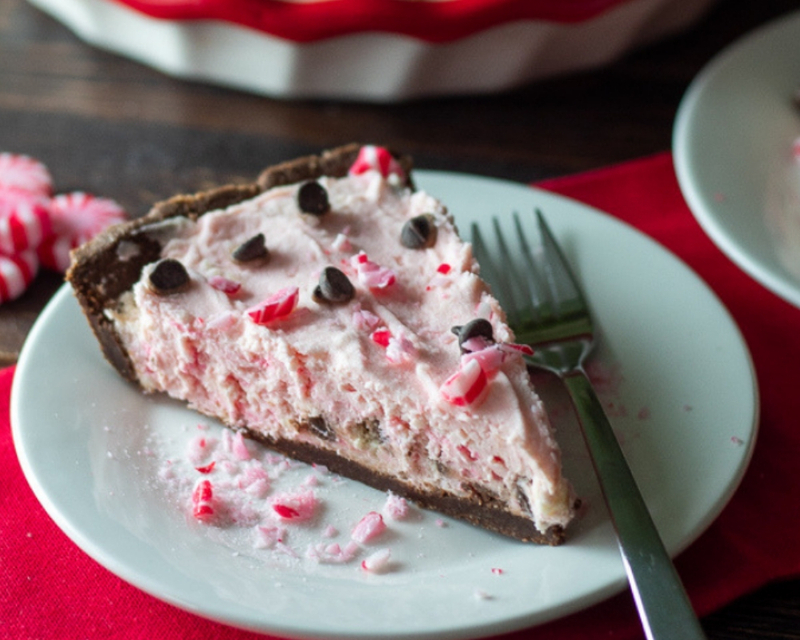 This pie would make a perfect Christmas dessert, but you don’t have to wait until Christmas to have a delicious minty dessert. The crust is made out of almond flour and cocoa powder, so it’s low-carb and keto friendly. The pie filling is made out of butter, cream cheese, whipping cream, peppermint extract, vanilla, and low-carb decorations. Anybody who’s a fan of chocolate mint needs to try this recipe ASAP. As usual, the bottom crust of these coconut raspberry bars is made out of almond flour and butter. The coconut layer is made out of coconut milk, coconut oil, desiccated coconut, vanilla, and salt. 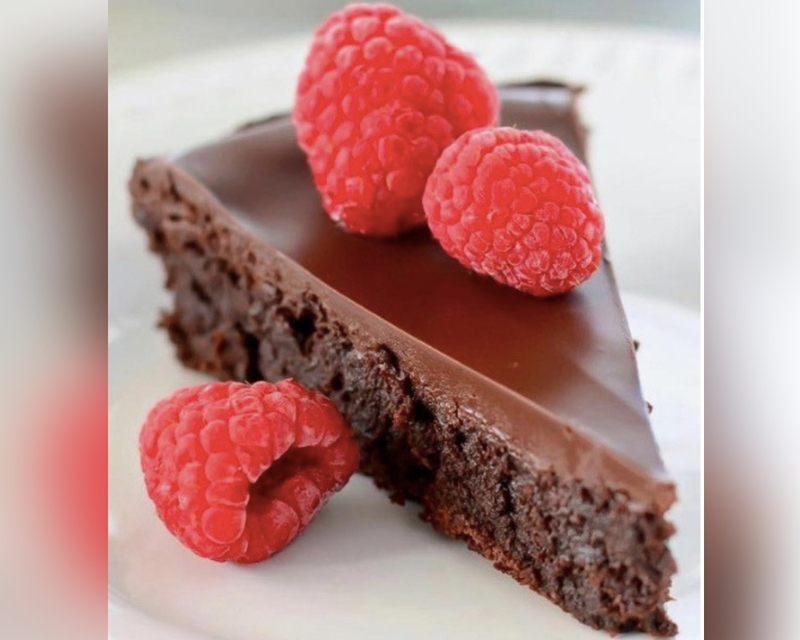 The top layer is made from raspberries, chia seeds, and low-carb sweetener. There are a lot of steps involved in making these bars, but anything worth eating takes a little bit of work. Try it out and let me know if it was worth it. 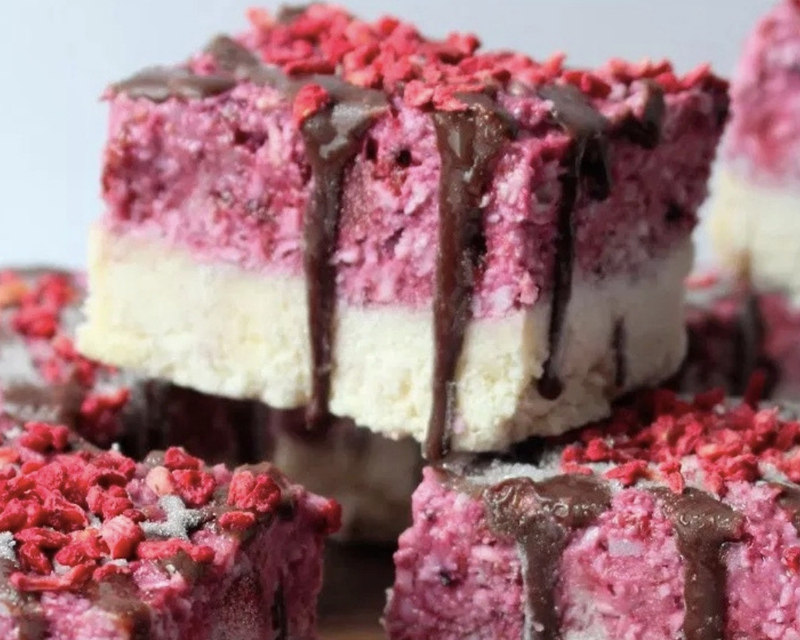 This recipe starts off just like the coconut raspberry squares. The base is made out of almond flour and butter. This time, the crust calls for a bit of coconut flour as well. The filling is made out of lemon juice, lemon zest, almond milk, butter, and eggs. For the topping, you’ll need some coconut chips, almond flour, and butter. 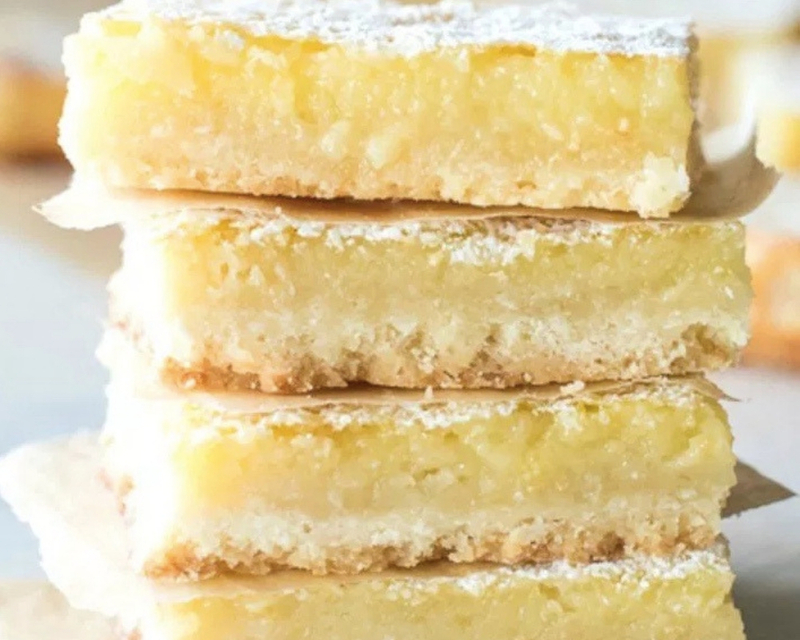 Are you more of a lemon square person or a raspberry square person? If you’re going to turn cauliflower into any traditionally carb-heavy food item, rice is the way to go. I feel like cauliflower resembles rice more than it resembles pizza dough or potatoes. For this recipe, you’ll just need to blitz up some cauliflower in a food processor. Then sauté it with olive oil, chopped onion, garlic, jalapeño, tomato, bell peppers, cumin, paprika, and coriander. 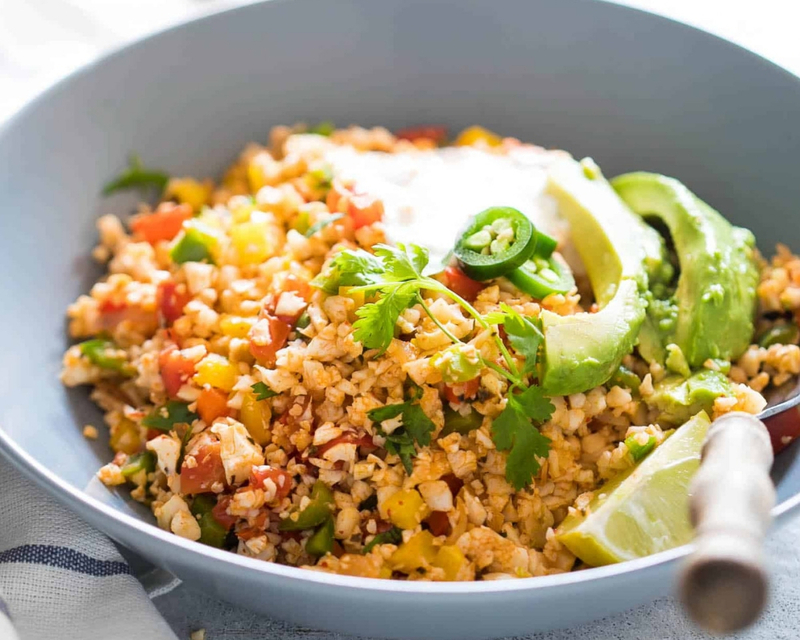 Cauliflower rice is best served immediately. This stuff definitely doesn’t taste as good the next day. 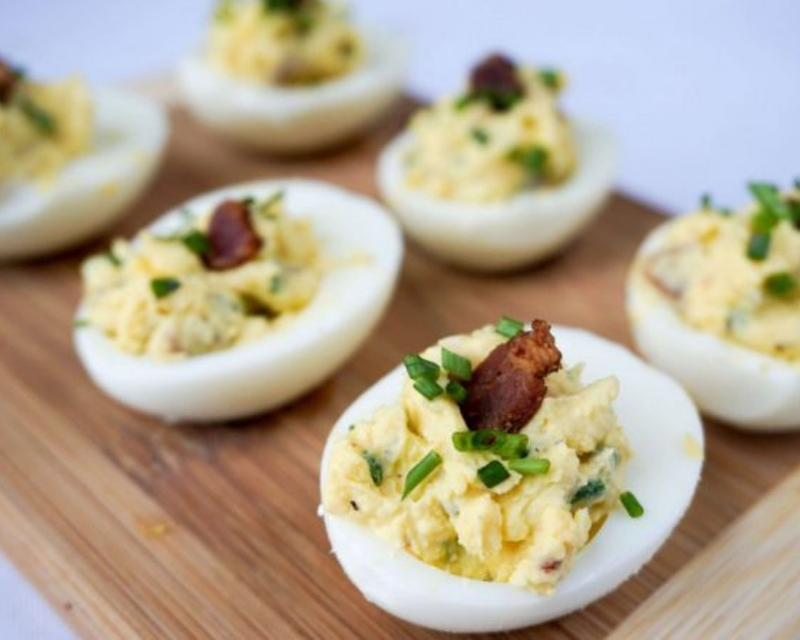 Adding bacon to deviled eggs is a great way to take a simple recipe right over the top. You can make these eggs the same way you make any deviled eggs — hard boil them, scoop out the yolks, mash the yolks with mayo, mustard, chives, salt, and pepper, and then fry up some bacon and add that into the mix. As far as I’m concerned, everything is better with bacon. 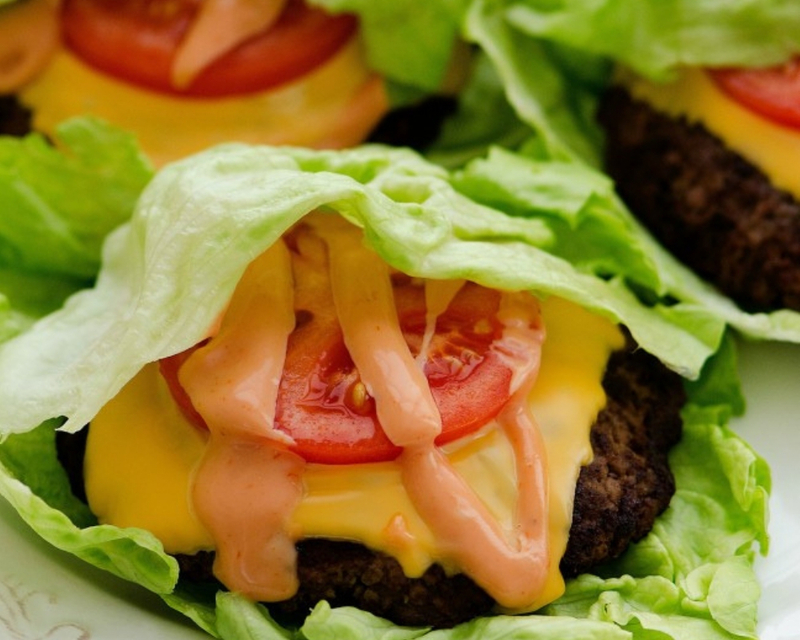 Look, I know these are called cheeseburger lettuce wraps, but they’re basically just cheeseburgers without the bun. Maybe if the burger part was just loose ground beef that wasn’t formed into patties I could get on the lettuce wrap train, but these are clearly bun-less cheeseburgers. I think they’re still probably very delicious, and if you’re on keto, this recipe can show you that you don’t have to give up cheeseburgers. This recipe is ridiculously easy to make, it’s a great grab-and-go breakfast option, and it’s absolutely delicious. 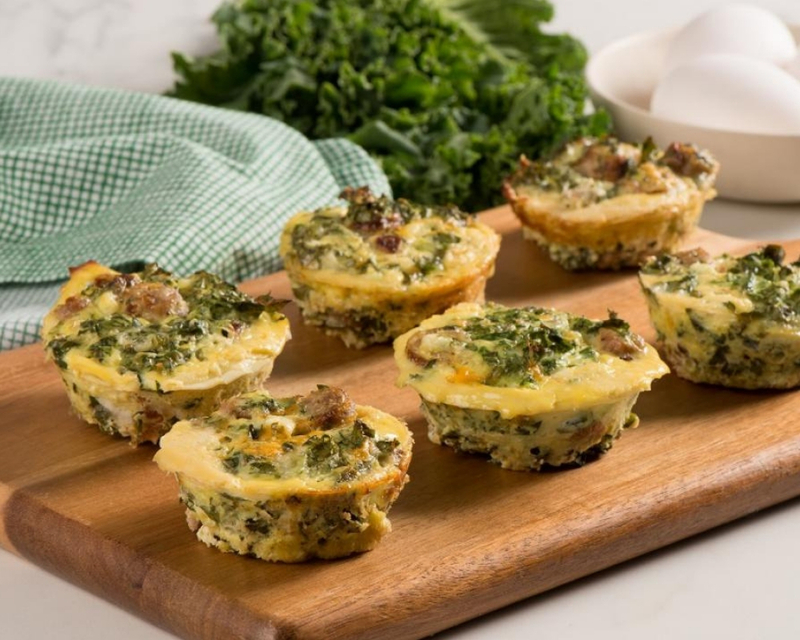 You’ll need eight eggs, cottage cheese, parmesan cheese, parsley, basil, oregano, cayenne pepper, kale, sausage, and shredded cheddar. Mix everything together, pour the mixture into a muffin tin, and bake for eighteen to twenty minutes. You could add anything you want to these egg cups. I think mushrooms would go really well with this flavor combination. There are ways to make pancakes without regular all-purpose flour. You can use almond flour or banana, but this recipe uses psyllium husk powder, eggs, lakanto monkfruit natural sweetener, and a whole bunch of cream cheese. 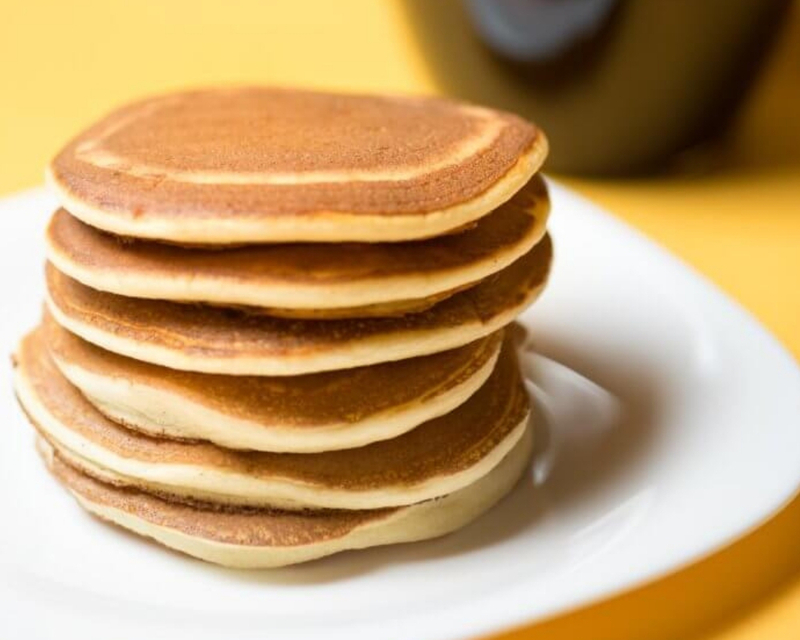 Four pancakes will only set you back 170 calories, and these flapjacks are super low in carbohydrates. Try these at home this weekend with some juicy low-carb berries. A mountain of raspberries would look so good on this stack of pancakes. Flourless chocolate cake has been around for a while. Some people prefer flourless chocolate cake to traditional chocolate cake even if they’re not on a keto diet. This recipe calls for water, salt, sweetener, chocolate, butter, and eggs. Dense chocolate cakes are definitely the way to go. Top the cake with some fresh berries for some extra decadence. The acidity of the berries will help cut through the richness of this super chocolatey cake. 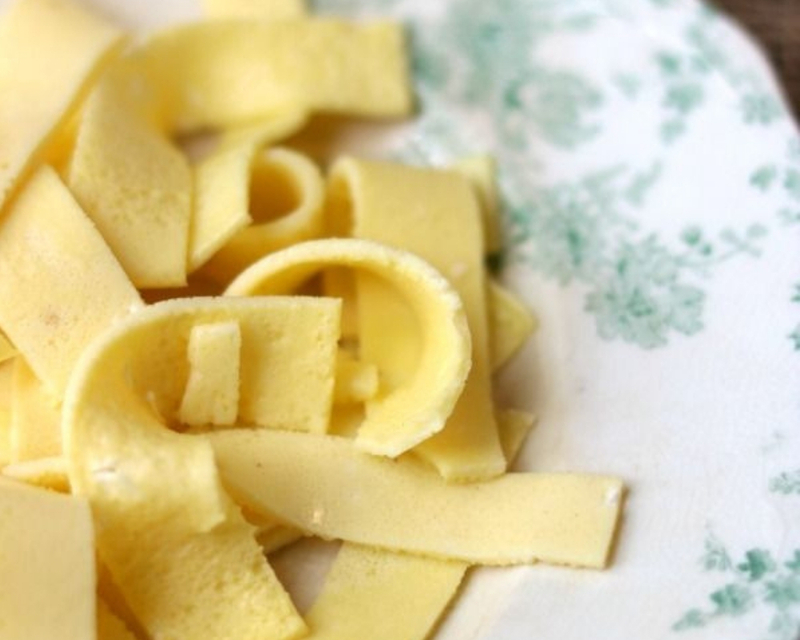 If zoodles aren’t your thing, but you still want to eat pasta on the keto diet, egg noodles might be right up your alley. These noodles are made out of eggs (of course), cream cheese, and a wee bit of wheat gluten (if you want). These work best if you bake them on a silicone mat. You could top these with any pasta sauce, but I have a sneaking suspicion that they’ll go really well with an Alfredo sauce. 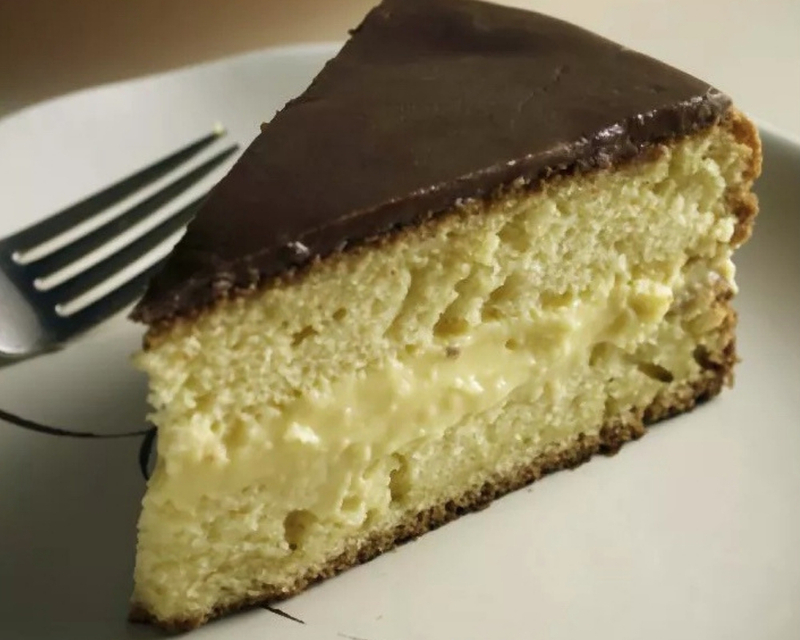 This is a Boston cream cake made with almond flour and some extra cheese. The cheesecake layer of this cake is made out of cream cheese, sour cream, vanilla, sweetener, and eggs. This is one of the more complicated recipes on this list. It takes multiple steps and pans and mixtures, but it’s probably worth it in the end. I’d do just about anything to eat a delicious cake at this point.